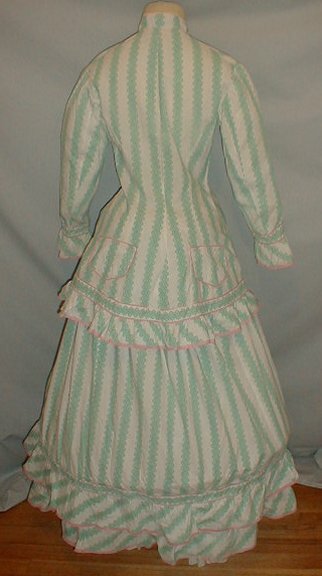 A charming 1870-1880 cotton print seaside sports dress that is de-accessioned from a major New York City museum collection. 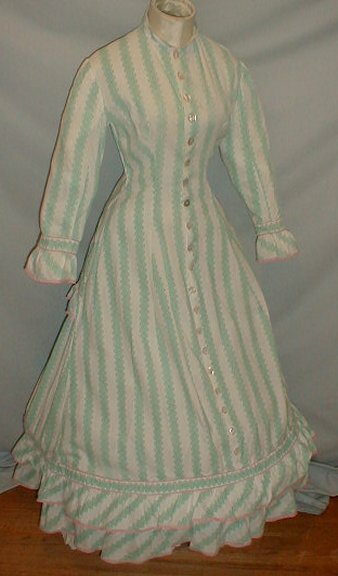 This style of dress was often worn for tennis, croquette and other summer spots. 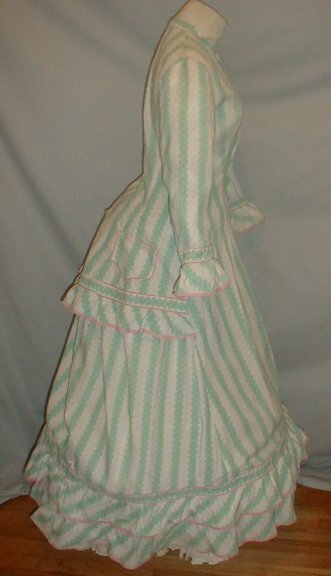 The fabric has a teal blue stripe pattern on a white background. 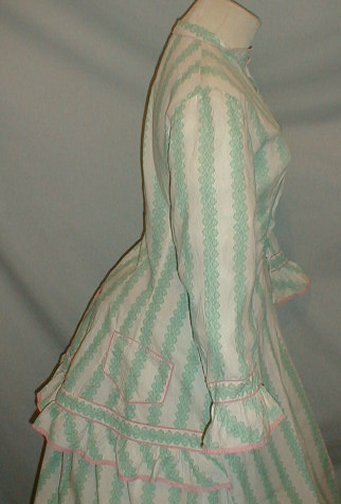 The dress has a back peplum that is trimmed with pink cotton. 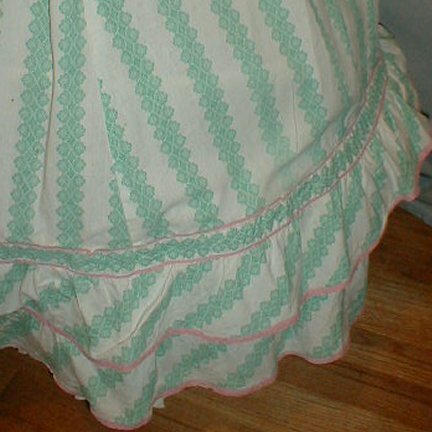 There are two pockets and each are outlined with pink cotton. 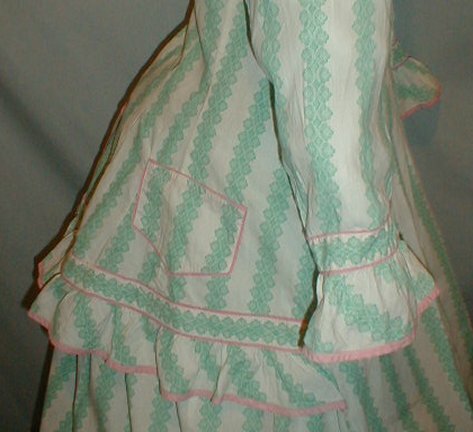 The sleeves cuffs, collar and bottom ruffles on the skirt are lined with pink cotton. The dress is unlined and has a front button closure. It is in very good and clean condition. There are a few tiny scattered pea size holes and one 1/8 inch split on the front bust line area. Some tiny pin size marks around the shoulders indicate there might have been a band of pink trim in this area. Bust 32 Waist 26 length from shoulder to hem 50. Oh my! This is so cute! The colors and the two pockets on the back...I seriously need to make one like this!